Our modern world fast-paced dynamics can sometimes be overwhelming and cause a great amount of stress. Keeping up with daily routine and staying on top of important tasks may become problematic and challenging. UGEARS offers a simple solution that can help ease the stress and relieve an anxiety of everyday life. Introducing our U-Fidget Tribiks collection. 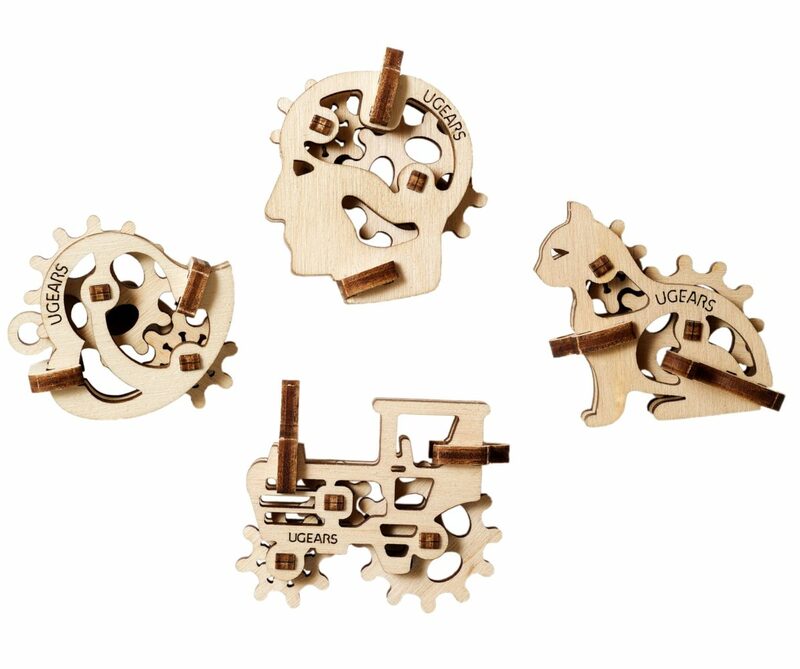 These 3-d puzzles, consisting of 10 pieces each, are made with natural high-grade wooden materials and feature real moving mechanical components. Each collection offers a variety of characters, from a playful kitten or a simple handbell to mini-tractor and a model of the intellectual thought process in the shape of a human head. 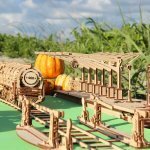 What is so special about UGEARS TRIBIKS and how do they help to ease stress. Like all UGEARS 3-d models, U-FIDGET TRIBIKS feature real mechanical moving components. In TRIBIKS, these components are the moving gears with teeth. A single model contains 2-4 of these interconnected gears. Rotating one of the wheels engages all the rest in motion, creating a spin-like action, similar to the one in fidget spinners, that were so popular a while back. Have you noticed, how people use doodling while working on complex and stressful tasks? Do you remember yourself or your kids biting on a pencil, while working on a school project or taking a test? Is drumming on a table with your fingers or twisting a hair lock sound familiar? All these motions help to focus, increase concentration and are the reflections of human brain activity. Lead by these scientific discoveries, we created UGEARS TRIBIKS collection. UGEARS U-FIDGET TRIBIKS models sleek and compact design makes them ideal to be carried around in a pocket or a purse, as keychains or hooked up to a backpack. Reach out and get your tribiks while working on a task, waiting in line, or simply to occupy your hands during a movie. 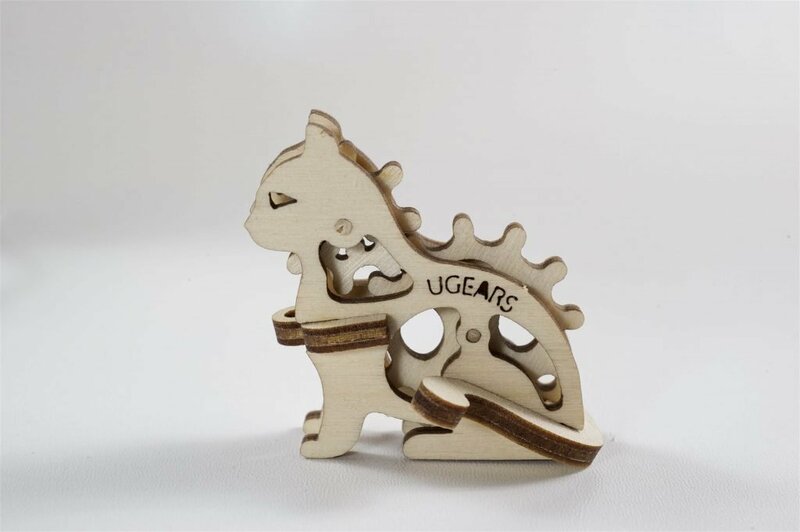 You can order your own UGEARS TRIBIKS set on our website for the best introductory prices now. Check our online catalog to find other exciting TRIBIKS models, such as ships, race cars and many more.